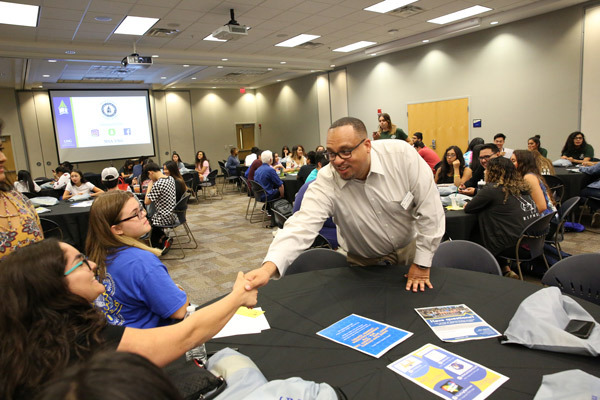 Students who learn the "Right Way to Go and Graduate" will learn strategies such as visiting their academic advisor in the first month on campus. College can be intimidating. There are so many processes and stacks of paperwork to complete — financial aid, class registration, academic advising — and new lingo to learn like FAFSA, Tranguid and CRN. To answer questions and help steer students to the right resources, the University of North Georgia (UNG), under its Complete College Georgia initiative, has completed a guide called "The Right Way to Go and Graduate." Kristie Kiser, a student success coordinator at UNG, said multiple resources are available to answer students' questions and help them with academic and non-academic issues, many students either are not aware of it or are afraid to ask. "Students have a misconception about universities and whether we even would care if they told us about their problem," Kiser said. "But nothing could be further from the truth. We care as a university whether students finish a degree. We care about students and we want to see them succeed." The right way to 15 credit hours: Taking at least 15 hours each semester will help students finish a degree on time and save money. The right way to a promising career: Starting in the first semester, Career Services can provide resources to help students decide on and prepare for a career. The right way to get advised: Students should visit their academic advisor starting in their first month on campus to create a plan of study and stay on track. The right way to pay: Understand FAFSA and the financial implications of taking on debt and dropping out of classes. The right way to engage: Studies shows that students who engage in the college experience through study groups, getting to know classmates and joining clubs or groups are more likely to finish school. Mandy Howard, a student who also works as a custodian at UNG, said the help she received helped her return to school and remain enrolled. "I had a point in my life when I had to leave school and two WFs (withdraw-failing), but Kristie told me about academic renewal. I applied and got approved and have been enrolled in college ever since. Academic renewal saved my college career," Howard said. She added that she is now on her way to earning a bachelor's degree after satisfying the degree requirements for an associate degree thanks to the help of Charles Bell and Johnny Khan in Academic Advising – just in time to participate in commencement. "I didn't have a cap and gown but I was able to borrow one and walk that night," Howard said. "I was also supposed to work the graduation – I am the gym custodian – so we had to find someone else to work it. This has not been easy and I have overcome all my obstacles and now I am on my way to a bachelor's degree." Complete College Georgia is a statewide initiative to increase the percentage of the population with some level of college completion to 60 percent to meet projected workforce needs. 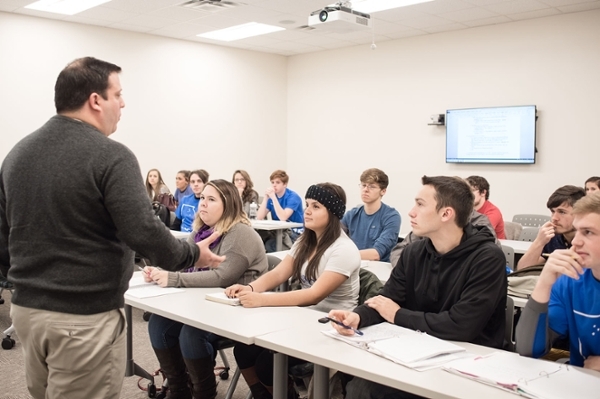 UNG's initiative, led by Complete College Georgia Director Dr. Sheila Caldwell, focuses on three areas: help high schools students prepare for college, encourage students who have left college to return and finish degrees, and ensure current students finish degrees on time. 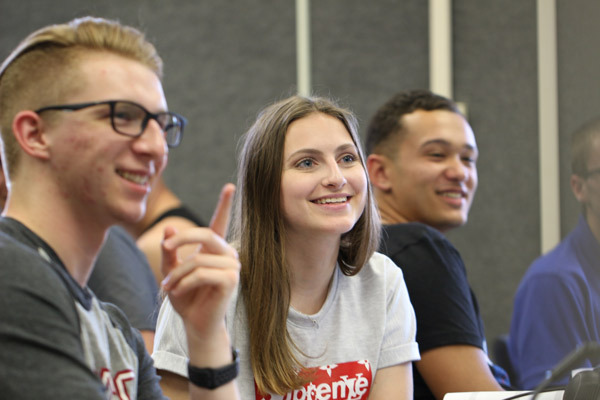 "Our Complete College Georgia plan ensures that we're equitable and reaching all students, especially the underrepresented populations, but there also is a strong emphasis on being effective," she said. "We want students to graduate and become self-sustaining, contributing members of the economy. That's why I'm so excited about Right Way to Go and Graduate, because we can show students the pathways to keep them on track to getting their degree." For more information about Complete College Georgia, including resources such as career roadmaps that outline earning potential and education requirements and links to student resources, visit the CCG website.